Though I haven't shot a moose yet, I'm sure this will do the job. Trajectory is exactly the same at 100 yards, so no need to re-sight when changing from 155 gr to 180. I recommend it to everyone I see at the range and the club I belong to. 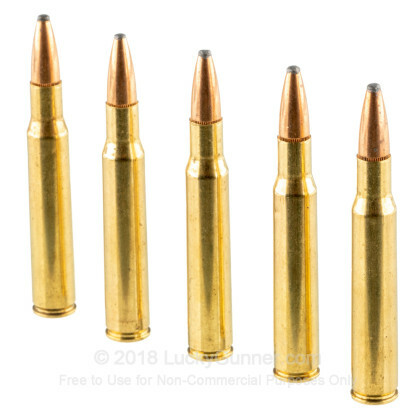 This ammo is reliable and accurate. I prefer it over 7mm and it's much cheaper. I have tried 7 other brands of ough 6 and I like this best. Two Minnesota whitetail does and a spike elk have fallen to a 180 grain from my Browning BAR 30-06. Left fist size exit wounds in the two whitetail. Two shots to down my elk (70 yards)the second shot was to remind him to fall over after the heart shot. 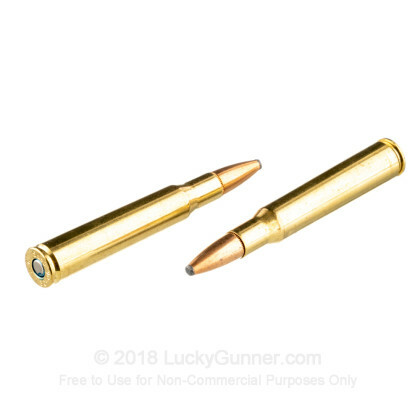 This ammo is good stuff never had any misfires. 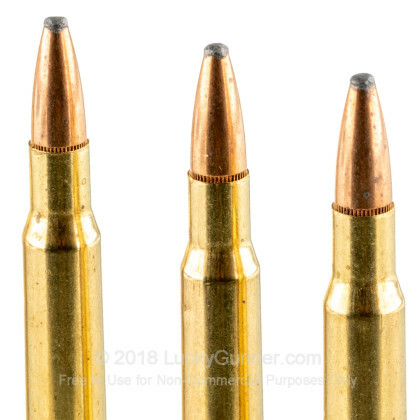 I have taken 2 whitetail does with the power shok (180 grain) within the 45-50 yard range with my 30-06 Browning BAR and neither went more than 25 yards. shattered ribs apon exiting, you could easily put your fist in the exit wound. 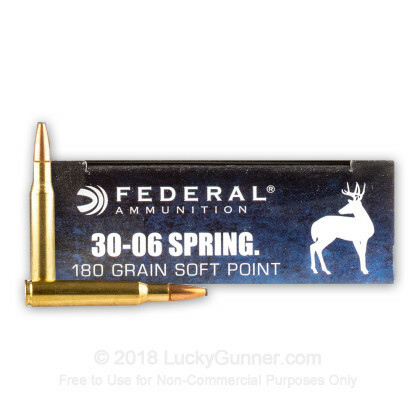 I also used the 180 grain on an elk hunt, shot a nice spike elk 65 yards two shots dropped on the spot, did not exit the animal but i didnt expect it too. 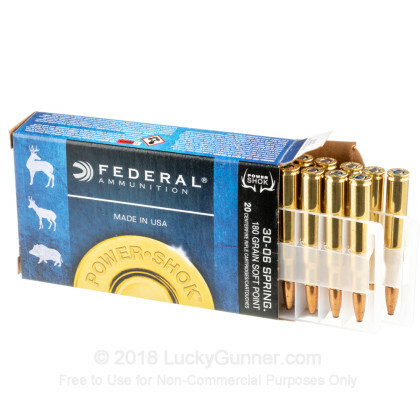 This ammo is easy to find most anywhere and affordable to shoot durning the off season to keep up your shooting skills. 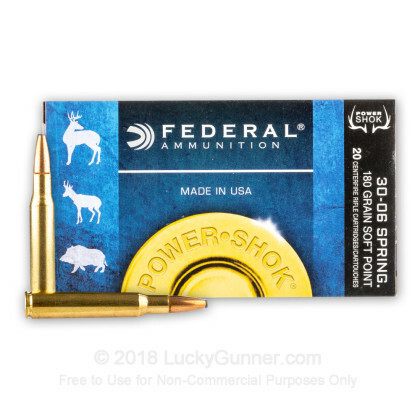 We also have this 30-06 - 180 gr SP - Federal Power-Shok - 200 Rounds ammo in stock in a bigger quantity.